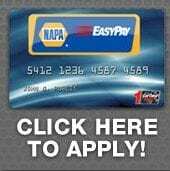 NAPA EasyPay – Town Hill Auto Repair Service in Bedford, PA.
Town Hill Auto Repair Service in Bedford PA wants to help get you back on the road with the Napa Auto Repair Credit Card. This card is meant to help with those unplanned expenses that come with auto repairs. Sometimes when the budget gets a little tight and auto repair or servicing is needed to help you get your car, truck, van or SUV back on the road, it’s good to know that the Napa EASYPAY Credit Card is there for you. Offering a 6 Month Promotional Financing available on purchases of $199 or more* you can get your needed car repairs completed and back on the road for your daily trips… or vacation. Combine Town Hill Auto Repair Service’s reputation with quality, Napa backed, workmanship with the easy of payment with your Napa EasyPay credit card and you have a combination that will get you on the road again. Keep in mind every auto repair service that Town Hill Auto Repair in Bedford PA does is backed by Napa’s – 36 Months/36,000 mile warranty good at Napa Certified Auto Repair Center Nationwide! Town Hill Auto Service has been providing exceptional customer service to the Bedford PA area for years. 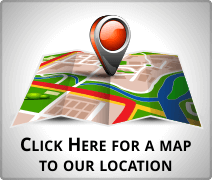 At Town Hill Auto Service, nothing is more important than complete customer satisfaction. Unlike other dealers, ALL of Town Hill Auto Service Professionals are factory trained and master Certified to ensure that your service or repair will be fixed right, the first time, EVERY time. Our skilled technicians use state-of-the-art equipment to ensure you the best service experience.